ANC 2F will will host a crime prevention meeting on July 9 at the Marriott Marquis, located at 901 Massachusetts Ave NW. 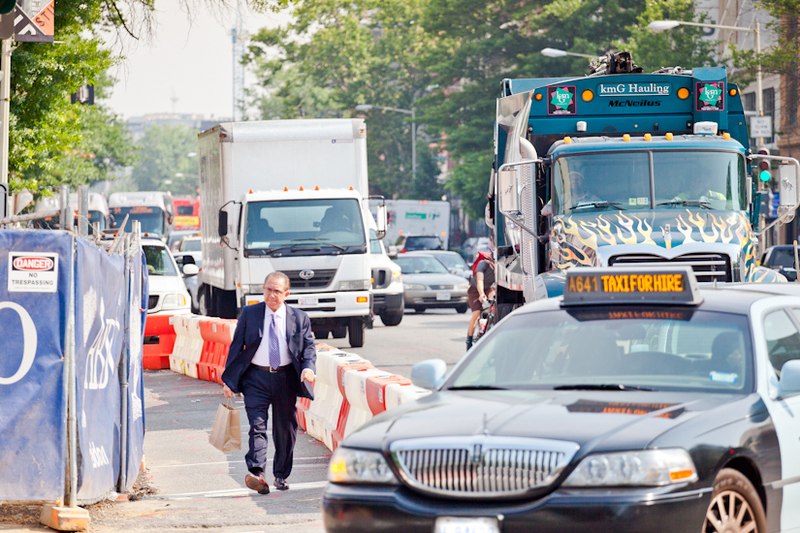 The meeting, which starts at 6:30 p.m., is intended for D.C. residents in Logan Circle, Thomas Circle, Blagden Alley, Franklin Square and parts of Shaw. 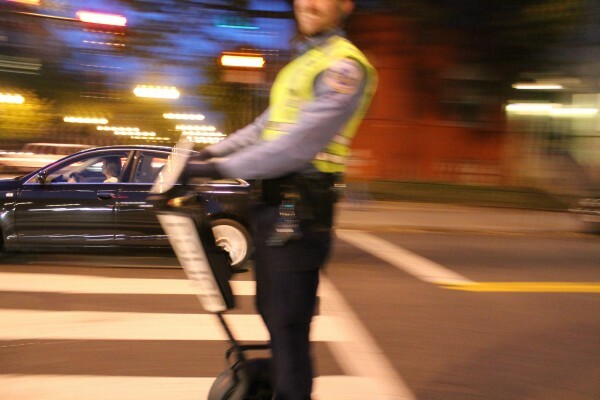 Speakers will include D.C. Councilmember Jack Evans, Third District D.C. Police Commander Jacob Kishter, Marc Silverman from security company Kastle Systems, and ANC 2F Public Safety Committee Chair Charlie Bengel. During the meeting, attendees will learn tips on preventing robberies, bike thefts and auto thefts, as well as hear advice related to installing security cameras. The meeting will conclude with a Q&A. 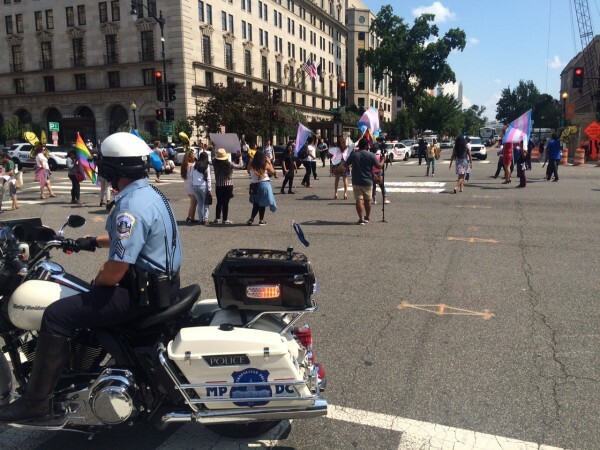 Six transgender rights protestors were arrested today after shutting down the intersection of 16th and K Streets. The demonstrators were chanting slogans and carrying signs in English and Spanish to protest the deportation of trans people in the U.S.
Police cleared the intersection of K and 16th Streets around 4:26 p.m.
(Updated at 5:16 p.m.) The FBI is seeking an armed man who allegedly robbed the SunTrust bank at 1250 U Street around 12:30 today. that demanded money. He then exited the bank and fled on foot. 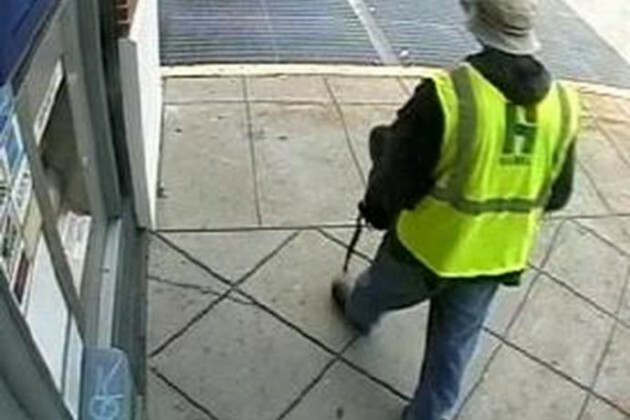 Authorities are on the lookout for a tall man–roughly 6’5” feet tall–wielding a gun and wearing a lime green construction vest with an “H” on the back, a dark-colored long-sleeved jacket, light-colored blue jeans, a khaki-colored fisherman’s hat with a black and gold band and white gloves. The FBI is offering a reward of up to $5,000 for information that leads to the identification, arrest and conviction of the bank robber. SunTrust bank employees confirmed the branch will be closed for at least the rest of today. 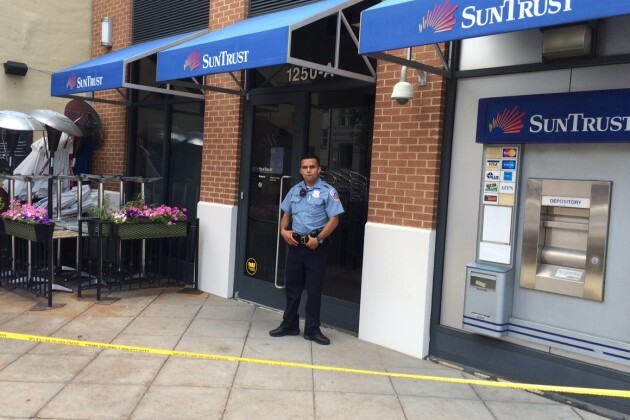 The SunTrust ATM adjacent to the building remains open. 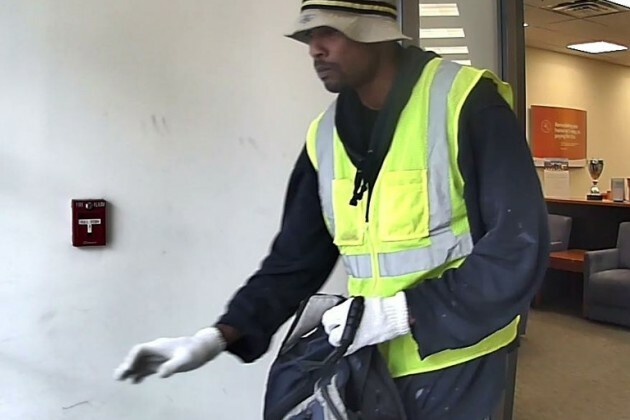 The FBI/MPD Violent Crimes Task Force is investigating this robbery and requests that anyone with information call the FBI at 202-278-2000 or MPD’s tip line at 202-727-9099. Additionally, anonymous information may be submitted to the police department’s TEXT TIP LINE by text messaging 50411. Audiophiles who crave the warm sound of vinyl records with their coffee at Songbyrd Record Cafe have a new place to roost during the evening. 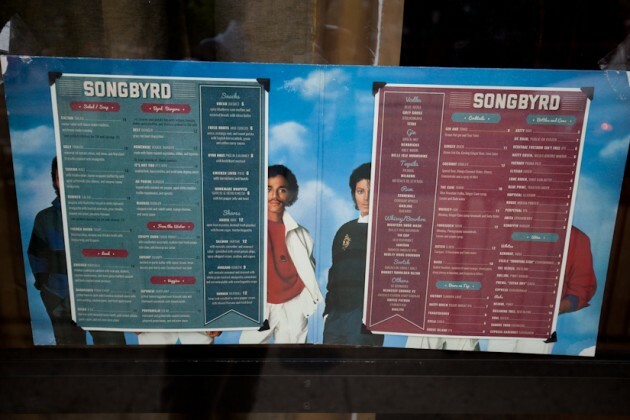 Songbyrd’s new bar and restaurant, Songbyrd Music House, located adjacent to the cafe at 2477 18th St. NW, opens tonight at 5 p.m. The new bar will feature an exposed brick wall, wood paneling and a long bar that stretches through much of the space. The Music House will be open until midnight on weekdays and 2 a.m. on weekends. Like the cafe, the bar will be closed on Monday. Pope Francis will visit St. Matthew’s Cathedral in September, announced the Vatican today. Pope Francis will arrive in D.C. on September 22. 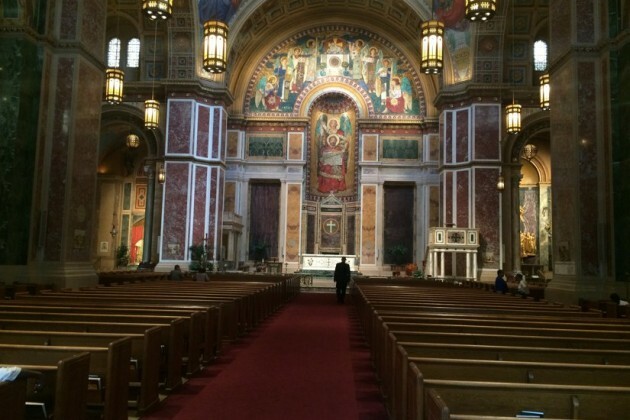 The next day, the pope will visit with President Obama at the White House at 9 a.m., then visit St. Matthew’s by 11:30 a.m.
At a press conference held earlier this morning, Cardinal Donald Wuerl said the historic Dupont church, located at 1725 Rhode Island Avenue NW, would prepare to host roughly 25,000 people during the pope’s visit. 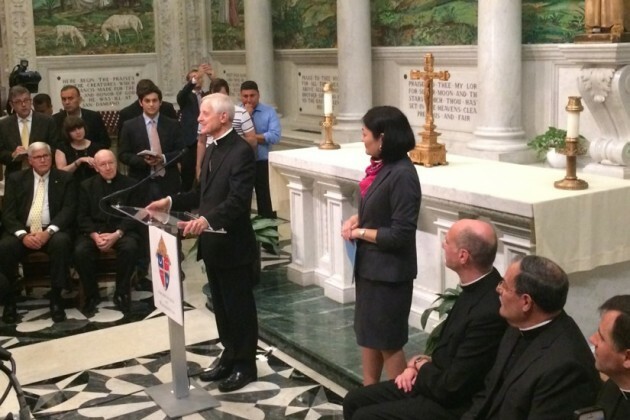 Wuerl added that tickets to the event would be distributed through D.C.’s Catholic parishes. And there will be a surprise visit by the Popemobile, confirmed Wuerl. This is the pope’s first U.S. visit since succeeding Pope Benedict XVI in 2013. View Pope Francis’ full U.S. itinerary here. 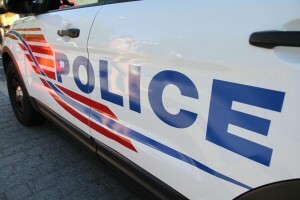 D.C. Police are on the lookout for a man filmed in connection with a pair of burglaries that occurred in Columbia Heights roughly two weeks apart. According to a police report, a man robbed a home on the 900 block of Monroe Street between 11 p.m. May 28 and 7 a.m May 29. Though the victims of the crime were present, they did not wake up during the burglary. The same burglar was caught in the act on June 12 when the person he was burglarizing woke up and saw him standing in their home around 1:26 a.m., police say. When spotted, police say the suspect exited the house and ran eastbound on Monroe Street NW. 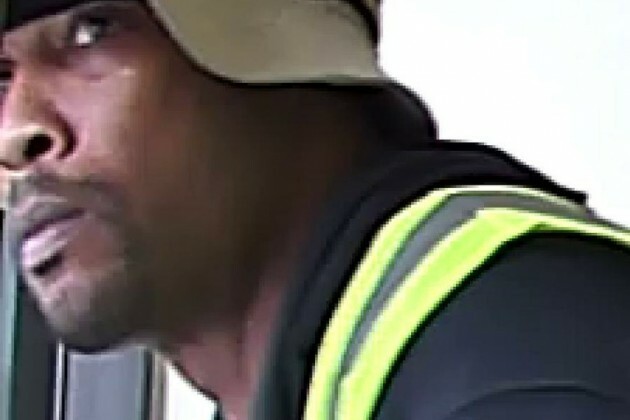 Police believe the two robberies are related, and allege that the man in the video is connected to the crime. Crime Solvers of Washington, DC currently offers a reward of up to $1,000 to anyone who provides information that leads to the arrest and conviction of the person or persons responsible for a crime committed in the District of Columbia. Your assistance is appreciated by your community. 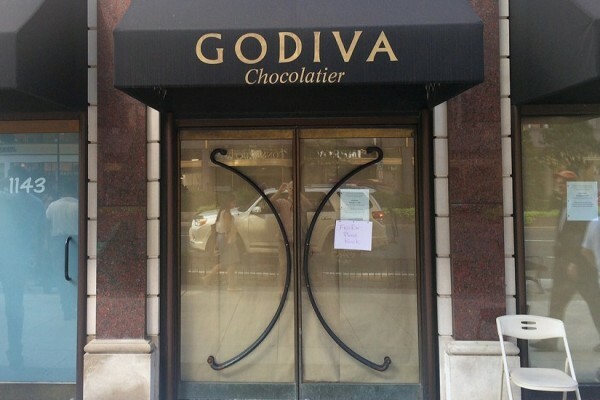 The Godiva Chocolatier at 1143 Connecticut Avenue NW permanently closed yesterday. In May, the Washington Business Journal reported that women’s apparel store Francesca was moving into the space. Dupont Circle residents salivating over anticipated new eatery The Chickery might have to wait a little longer for their chicken fix. 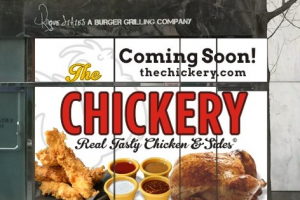 Canadian chicken franchise The Chickery told Borderstan today it aimed to open its location at 1300 Connecticut Avenue NW in October. The Chickery is a fast casual roasted chicken restaurant headquartered in Toronto. The company has no U.S. locations open for business, but it says its Dupont Circle location will serve as a starting point for additional U.S. expansion. 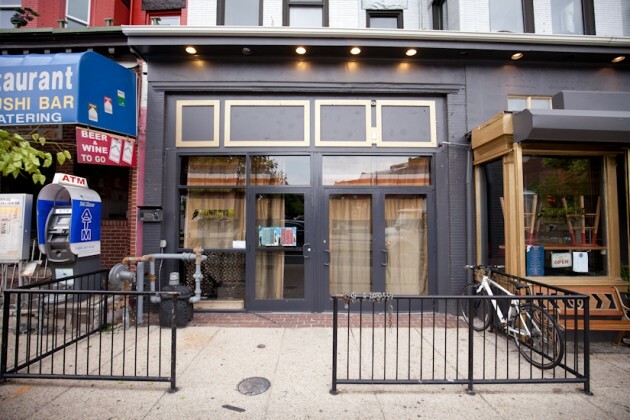 As noted in the Washington Post, the space’s previous tenant was Black & Orange, a burger restaurant that closed after a neighboring law firm sued it for wafting and irritating cooking odors. 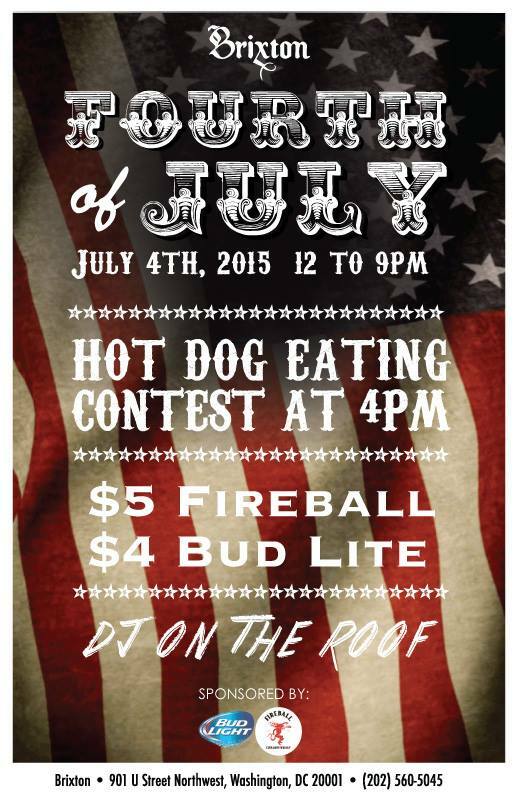 Patrons who visit The Brixton this Saturday had better be hungry for hot dogs. 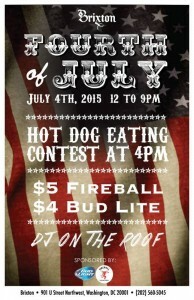 The U Street bar will host its annual Fourth of July hot dog eating contest this Saturday at 4 p.m. The prize for choking down way too many hot dogs: One ticket to this year’s Landmark Music Festival in September. The bar will also sling $4 Bud Lights and $5 shots of Fireball from noon to 9 p.m.
Dupont residents will soon have the chance to learn more about what’s going on with Dupont Underground. Kramerbooks & Afterwords Cafe (1517 Connecticut Ave NW) will host Dupont Underground‘s board of directors for an informational community meeting tomorrow at 6:30 p.m.
During the meeting, the underground art exhibit’s board of directors will share progress updates, general information and history related to the subterranean space. 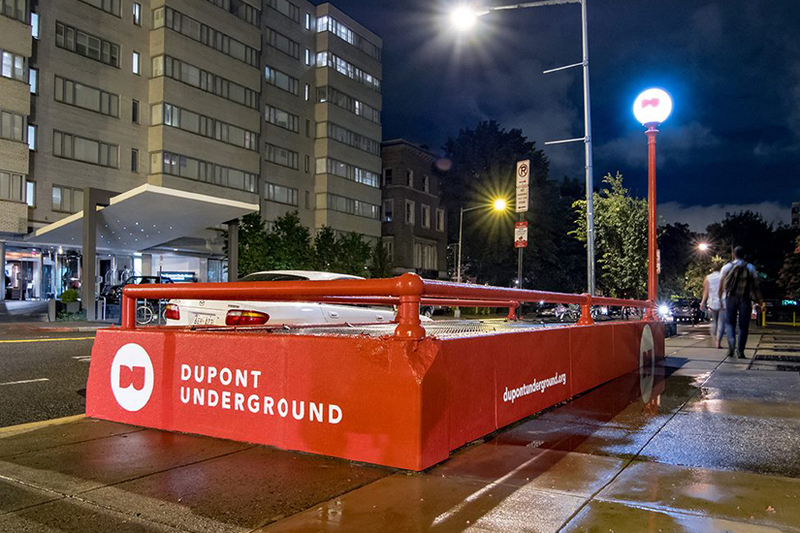 “It pairs together two Dupont-related discussions into one community event,” says Braulio Agnese, managing director at Dupont Underground. Columbia Heights residents will have the chance tonight to weigh in on a proposal to build hundreds of new condos. ANB 1B will hold a community meeting tonight at 6:30 p.m. at the Thurgood Marshall Center, (1816 12th Street, NW) to discuss a proposal by Aria Development to build 160 to 170 condo units on four parcels of land between 1309 and 1315 Clifton Street NW. “It’s imperative that residents directly impacted by the proposed development have the opportunity to meet and discuss general points in the proposal, their concerns, and what they want from the developer to benefit the community as a whole,” wrote ANC 1B Commissioner Mark Ranslem in an e-mail to Columbia Heights residents. Commissioner Sedrick Muhammad from ANC 1B-03 and Commissioner Dyana Forrester from ANC 1B-06 will attend and participate in the meeting. Congratulations to Chef Seng of @thipkhaodc, winner of the annual #AIWF crabcake contest. 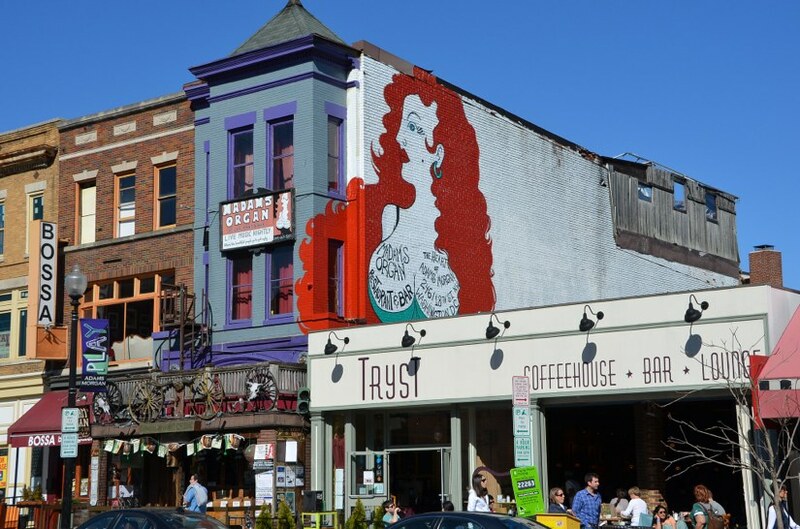 A Columbia Heights restaurant took home a big honor yesterday. Thip Kao, a Laotian restaurant located at 3462 14th Street NW, won highest honors at yesterday’s American Institute of Wine and Food (AIWF) 10th Annual Crab Cake Competition. Along with the bragging rights, Thip Kao will receive funds to support a culinary intern in its kitchen. Thip Kao’s Chef Seng Luangrath’s crab cake was chosen over entries from the likes of Chef Spike Mendelsohn from Bernaise, Chef Joe Palma of Bourbon Steak and other award-winning chefs. The crab cake competition is a yearly contest aimed at raising money for culinary internships, scholarships and educational programs in D.C. Each year, the contest pits eight local chefs against one another in a showdown to create the perfect crab cake with Maryland blue crab. D.C. police arrested a man they say robbed two people at knifepoint shortly after midnight near the 3000 block of 14th Street NW. According to the police report, 42 year-old Anthony Amara Fuller allegedly cornered, threatened and robbed two men at knifepoint. Police say Fuller then escaped on a bicycle, but was stopped a short distance away by several officers on Segways and on foot. The victims’ stolen property was recovered shortly after the arrest, say police.